Drinking grape juice or red red wine in moderation, or eating red grapes could help overweight people burn fat more easily and improve their health, while helping them to manage metabolic disorders such as fatty liver, new research claims. The study published in the Journal of Nutritional Biochemistry exposed human liver and fat cells, which had been grown in the lab to extracts from four chemicals found in Muscadine grapes. One of the chemicals, ellagic acid was particularly successful at slowing the growth of existing fat cells, formation of new ones and boosted metabolism of fatty acids in liver cells. Although Neil Shay, a biochemist and molecular biologist at Oregon State University’s (OSU) College of Agricultural Sciences who co-authored the study, said the chemicals found in the grapes should not be looked at as a weight loss miracle. But he said by burning more fat, especially in the liver, they could improve liver function in overweight people. 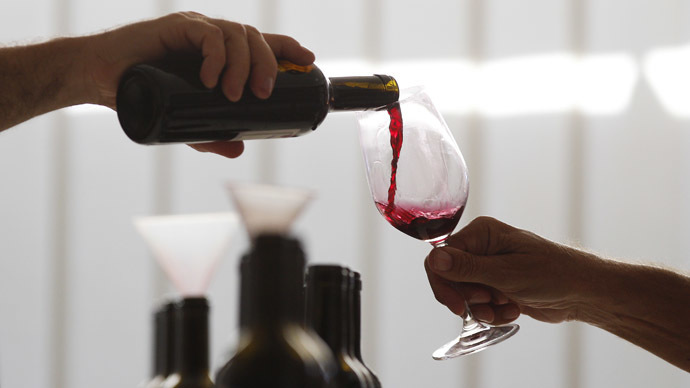 The research, which was carried out with support from the universities of Florida and Nebraska, builds on a 2013 trial at the OSU which supplemented the diets of overweight mice with extracts from Pinot noir grapes. The grape extracts were scaled down to the mice’s nutritional needs and were the equivalent to about one and a half cups a day for a human. Some mice were given normal mouse food, which contains about ten percent fat, while others were given a 60 percent fat diet, the kind of unhealthy diet that would pile extra fat onto the human body. The trial lasted ten weeks and the porky mice developed diabetic and fatty liver symptoms, “the same metabolic consequences we see in many overweight, sedentary people,” said Shay. However the chubby mice that had the grape extracts stored up less fat in their livers and had lower blood sugar than those who had just had the fatty diet. When the scientists analyzed the tissues of the mice that had eaten the grape supplements they found higher level of PPAR-alpha and PPAR-gamma, two proteins that metabolize fat and sugar in cells. The idea is to be able to supplement medicines with the right food to give people a healthier life, said Shay. “We are trying to validate the specific contributions of certain foods for health benefits. If you’re out food shopping ,and if you know a certain kind of fruit is good for a health conditions you have, wouldn’t you want to buy that fruit?” said Shay.